The dilemma I describe in this article is not Coach Willie Taggart’s fault. Oregon’s first-year head coach inherited a very difficult situation at receiver this year at Oregon. My belief is that the defensive line, while thin, is highly underrated, and it will become evident in 2017. So will the best depth at running back perhaps ever at Oregon. The offensive line will be adequate, but hampered by the inevitable crowding of the box by defenders. This “loading” of the box will result from cornerbacks in the Pac-12 being able to cover man-to-man the current sub-par corps of wideouts at Oregon. This could be ominous for the new offense the Ducks are running, as there are mistakes and growing pains to be expected in WCT’s new Power Spread Offense at Oregon. Oh, I know how people are throwing out predictions of winning eight, nine, and even 10 games this season. I would love it, but I just do not see it. You must have at least two, and preferably three, exceptional receivers in an Oregon uniform, or the offense is not going to score enough. I also see the “you don’t know the talent we have at wideout” remarks, and that to me is just silly. We have had so many great recruits, JC transfers, and freshmen that we have thought the world of going into a season. Yet we have no idea if a player is going to be a five-star bust like Kirk Merritt, or a surprising Keenan Howry in terms of impact. It is a crap-shoot, and we are all guessing. Now I have no doubt that Brenden Schooler can make some plays, but a huge producer in his first year? Charles Nelson has never been the “go-to” guy, and has done best when defenses are focused on Darren Carrington, Devon Allen or Dewayne Stanford. Are you going to depend on him to be “the man” when he has a history of injuries and ball-security issues? At tight end … Jacob Breeland looks to be a star in the making, but what experience — any experience proven at tight end — is there behind him? The talent among the freshman wide-outs looks promising, but again — no experience. Perhaps later in the season we can turn to the newbies, but what about against Nebraska? Who do we know who can for certain stretch the defenses long, and make that clutch catch on third and long? We have never had this kind of disaster going into the season before, in a very celebrated position at Oregon. Don’t believe me? C’mon. You all know me well enough to anticipate that I will offer a very logical or reasonable argument … or I will offer you proof. 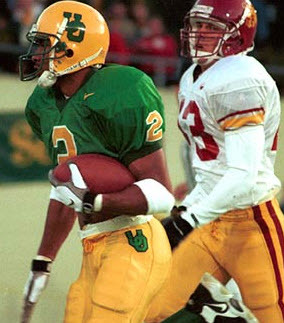 Let’s compare receiver groups of now to the past Oregon teams and you tell me who you would rather have. For those who say the Ducks will win seven games, let’s look at 2006 when Oregon did just that. The receivers were Brian Paysinger, Darren Strong, Cam Colvin, and Jordan Kent. 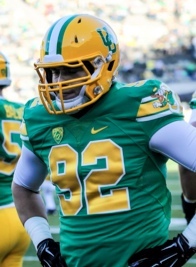 At tight end the Ducks had Donte Rosario and Ed Dickson! Geez, what a group! Which one would you want? 2006 or 2017? 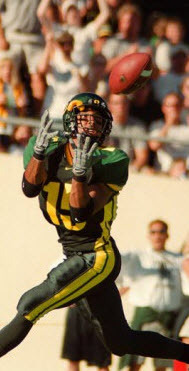 An eight-win season at Oregon had wideouts Damon Griffin, Tony Hartley (household names) and Donald Haynes — who caught 26 receptions for the Ducks. Oregon got some very big plays at tight end from Lacorey Collins and Jed Weaver, who were just killing the strong safeties attempting to cover them. Now that is an amazing group catching passes. So again, which do you want? 1998 or 2017 receivers? For those who believe Oregon will win nine games in 2017, we can look to 1994, a nine-win team that went to the Rose Bowl. The receivers on that team were fearsome to secondaries; Cristin McLemore, Pat Johnson, and Dameron Ricketts ate up big chunks downfield. The Ducks were also loaded at tight end, with Josh Wilcox and Blake Spence keeping teams completely off balance. Which group would you rather have? 1994 or 2017? There are some who puff that the 2017 Ducks will win 10 games, so let’s look at Oregon’s first 10-win team. At wideout, the Ducks had Terrence Scott, Jaison Williams, and Jeff Maehl. The tight end position was not too shabby either, with Ed Dickson and Malachi Lewis. So, 2008 group or 2017? Which is better? The objective is not to “dis” the current group of players, but to give the fans perspective to compare against in order to wake them up to reality. A Power Spread Offense must have some nasty weapons in the passing game in order to make the running game effective, and hence score a ton of points. Oregon just does not have those weapons yet. With any injuries at all … yikes. OK Charles … I’m sobered up now. What does Oregon do? If Oregon does six wins or better, it will be a hell of a coaching job by this staff that will probably go unrecognized by the public in their spoiled expectations/demands of Oregon football. I see three ways to overcome the massive disadvantage on offense that besets Oregon. First, the coaches on the FishDuck.com staff have been whispering to me about the unheralded improvement of all the little things on defense. With a lightly regarded set of stout defensive linemen in Henry Mondeaux, Jordon Scott, and Scott Pagano, I could see Oregon doing a better than the expected job of slowing down teams with their gap-plugging, while getting good linebacker play. (And we have experience there!) 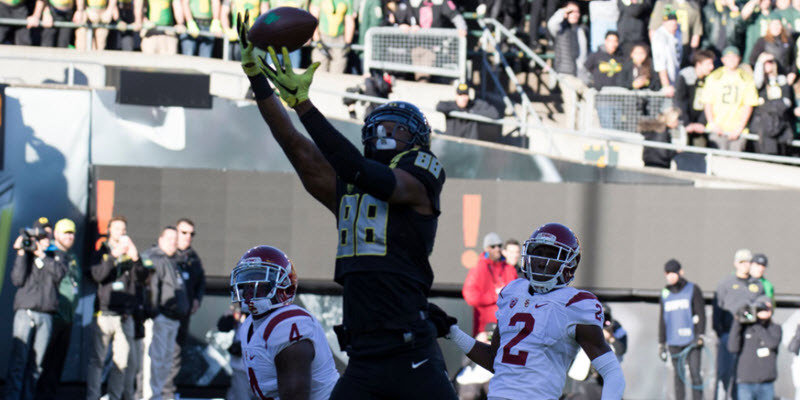 With the refinements in the secondary that coaches Charles Clark and Keith Heyward are bringing to the Ducks, the talent that we anticipated in the past could come to fruition. Next, a strategy often employed by Oregon’s opponents in the past could be in the game plans for the offense. Run the ball, with enough play-action passes sprinkled in to burn up the clock and keep the opponents off the field, while averaging only 28 points a game. (The worst scoring since … I cannot remember when.) Shorten the game, and depend upon big plays at key moments to steal some victories against teams further up the conference food chain. Finally (and this is one I am especially pondering and pining for), come up with extraordinary and unique game plans for nearly every game, to create doubt and frustration with opponents. I still regard the 2007 Sun Bowl as one of most innovative answers to injury and inexperience. Newbie quarterback Justin Roper threw for four TDs. Oregon’s attack stunned the Jim Leavitt-coached South Florida Bulls, as it was nearly over by halftime in a 56-21 rout. While I am offering hope, I am also realistic in stating that success from these strategies is not even a 50-50 proposition. It can happen, but with one more reliable tight end and two more proven wideouts, it wouldn’t have to. However I regard this scenario as part of the drama, and part of the entertainment our beloved Ducks will offer us. The final item to be proven by this coaching staff is their coaching and game planning, and if they are as good as rumored, Oregon may surprise even Mr. FishDuck.